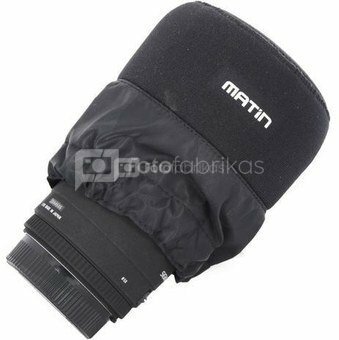 The Matin M-6804 Medium Lens Cover is a convenient lens pouch for your DSLR camera. The Matin lens cover allows you to carry your camera around your neck while protecting your lens against bumping and scratches. The M-6804 is 100 x 60 x 50mm (flexible depth).